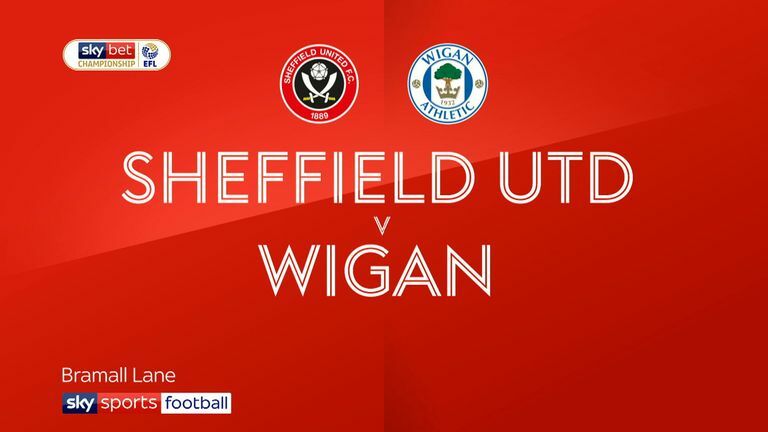 Billy Sharp scored a hat-trick as Sheffield United beat Wigan 4-2 to move two points clear at the top of the Sky Bet Championship. An own goal from Chey Dunkley opened the scoring for United before the Latics equalised through Kai Naismith. Sharp put the Blades back in front just before the break and got his second of the game shortly after the restart, before completing his hat-trick after the hour mark. Another Wigan substitute, Joe Garner, got a second consolation goal for the visitors, who have won just once in their last five league matches. United made two changes to the team that drew with Stoke in midweek, bringing in Richard Stearman and club captain Sharp, and they opened the scoring in the 24th minute after a lapse in concentration from the Wigan defence saw Dunkley score an unfortunate own goal. Kieron Freeman's quick throw-in caught the visitors off-guard and the ball fell into the path of Chris Basham in the six-yard box. He instinctively squared the ball across goal where Dunkley was waiting to clear the danger, only to fire it into the side of his own net. Sheffield United's Billy Sharp celebrates after he scores his side's third goal. However, Paul Cook's Wigan remained a threat on the counter and found an equaliser six minutes before the interval through substitute Naismith. Within minutes of replacing the injured Gary Roberts, Naismith was picked out by full-back Nathan Byrne in the penalty box and was able to volley past Dean Henderson, who could perhaps have done better after getting a hand to the shot. It did not take long for United to get back in front though. A deep free-kick from Ollie Norwood was met by Stearman, who directed his header back across goal where Sharp was waiting to fire past Christian Walton in the Wigan goal. United started the second half in the same manner they ended the first, and further extended their lead after 53 minutes when Sharp got his second of the game. A quick-break from United was rounded off with a low cross from Leon Clarke and finished by Sharp, who for the second time in the game was in the right place to tap into an almost empty net. With half an hour of play remaining, United looked to be on their way to a routine victory against Wigan and it was cemented when Sharp got his hat-trick in the 64th minute. Enda Stevens latched on to a long ball forward and managed to flick it into the path of Sharp, who got his foot high in the air and prodded the ball past Walton for his 11th goal of the season. But the Latics would not give up the game that easily and pulled the deficit back to two goals six minutes later through substitute Garner. Josh Windass, who had been a live wire for Wigan throughout the game, drew the ball back across goal from the touchline, where Garner was able to shoot with his back to goal past Henderson. Wigan continued to press United to the final whistle and came close to getting a third through a Reece James free-kick, but United stood firm and held on for an impressive win. Chris Wilder: "It's the old performance over points scenario today. For me, from a footballing point of view, I thought we took our goals very very well. "But you never turn down three points, especially at the top of the Championship, so we'll gladly take that." 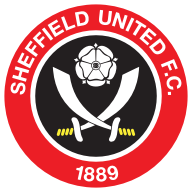 Paul Cook: "Sheffield United are for me, the outstanding team in the division. Other teams might have better individual players, but they are the best team. "Sheffield United are for me a very complete team, they work so hard for each other and they played some really great football today."